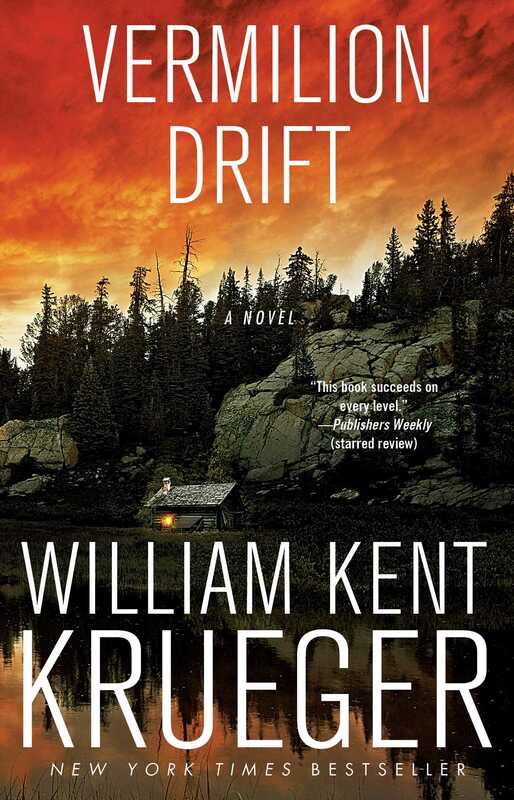 This reading group guide for Vermilion Drift includes an introduction, discussion questions, ideas for enhancing your book club, and a Q&A with author William Kent Krueger. The suggested questions are intended to help your reading group find new and interesting angles and topics for your discussion. We hope that these ideas will enrich your conversation and increase your enjoyment of the book. On the Iron Range in northern Minnesota, private investigator Cork O’Connor has his hands full protecting a client’s mining company from protesters angry at its plan to store nuclear waste. But then a local socialite disappears and a secret mine tunnel unearths a collection of bodies that have been dead for decades, and things get more complicated. Suddenly O’Connor finds himself involved in a murder investigation that stretches back to a previous generation, which leads to surprising discoveries about his own family history. 1. The prologue begins with O’Connor’s dream of pushing his father to his death. Why did the author begin the story this way? What did this recurring dream foreshadow in the story? 2. 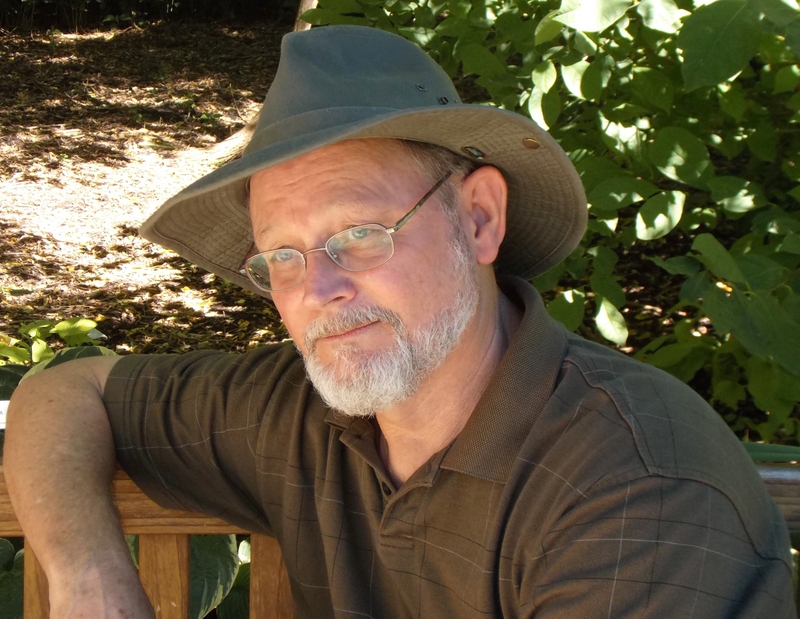 Cork O’Connor, in his mid-fifties, is a tough-nosed guy not afraid to ask hard questions. But how does his tack change in dealing with missing Lauren Cavanaugh as compared to the investigation of the bodies in the mine? 3. Does O’Connor consider himself part of the Anishinaabe tribe? If so, why is he so calm when he’s threatened and despised by Isaiah Broom and other members of the tribe? 4. Was O’Connor a traitor, as some felt, for working as a security consultant at the mine? Though he was friends with mine employees, they were looking for a place to store nuclear waste, which upset many. How would you have felt? Would you protect the mine, even if you disagreed with what they were working on? 5. O’Connor is well versed in the history of the Iron Range and his hometown. How does that inform how he handles the case and the people involved? What examples show how his insider knowledge helped him uncover aspects of the case? 6. What was your initial reaction to Derek Huff, the artist living at Lauren Cavanaugh’s artists’ retreat? What were your first thoughts about their possible relationship? Did it turn out to be correct? 7. Why was Ophelia so protective of Lauren and her living quarters? If she was just an employee of the artists’ commune, why was she concerned? 8. With O’Connor’s wife dead and his children away from home, what is his view of Aurora, his hometown? Consider this in context to his words, “And of what value, in the end, was a memory?” (page 61). 9. Henry Meloux is coy about helping O’Connor; why isn’t he more forthright in helping O’Connor understand the history of the Vanishings? What lesson is he trying to teach? 10. What is the importance of O’Connor’s mother’s journals? Why did someone go through the trouble of tearing out pages, and why was that information so important? 11. O’Connor often thinks of his father, and in many ways appears to be very much like him. How are his policework and personal beliefs affected by his father? How did his view of his dad change after he learned about his knowledge of the Vanishings? 12. Meloux described Indigo Broom and Monique Cavanaugh as people without souls, who had no choice but to be evil. What do you think of that philosophy? Did these people have a choice to do what was right, or were they destined for evil? 13. What are your feelings about the relationship between Max and Lauren? If she was so difficult to deal with, why was he so willing to help? 1. Have you ever seen an iron mine? Do some research about them or go and visit one nearby. Could you handle going half a mile underground? 2. Like Hattie Stillday and some of the other artists at the retreat, use your skills to shoot some landscape scenes from your neighborhood. 3. O’Connor learns a lot about his family’s own past in the story. Did anyone in your family keep a journal? If so, see what stories you can glean from your family’s history. If not, why not start writing your own? 4. O’Connor enjoyed nothing more than having a cold Leinenkugel’s beer to end the day. Tip back a cold one as you discuss the story. Where did you get the idea for this story? Does any of it come from real events? For a very long time, I’ve wanted to write a story that would allow me to highlight the unique history and culture of the area in northern Minnesota known as the Iron Range. I’ve also wanted to explore more significantly than I have in the past Cork’s relationship with his mother and father. These were the people who shaped the man Cork O’Connor has become. and I wanted to know more about them. So, these ideas were part of the inspiration. The other part came from a scary but real possibility facing the Iron Range in the early 1990s. For a very brief period, there was significant interest in using the Soudan underground ,ine in Tower, Minnesota, as a site for storage of nuclear waste. Fortunately the idea was scrapped, but I resurrected the situation for Vermilion Drift. You did a lot of research about the Iron Range and mining. How much time did you actually spend in the mines Vermillion Drift was based on? With any book, I begin first with a good deal of reading research. Vermilion Drift was no exception. I read everything I could about iron mining on the Range, both underground and in pits. But this kind of research can take you only so far. When I had what I thought was a good grasp of the generalities of iron mining, I made arrangements for a private tour of the Soudan mine, an abandoned underground iron mine that has become a Minnesota state park. I spent most of a morning touring the lowest level of that mine, an experience that gave me a greater appreciation and admiration for the men who spent their lives extracting iron in near-dark conditions. Over the years, I’ve visited the open-pit mines on the Range a number of times, but I was glad finally to have an opportunity to study them more carefully, with an eye to including them in the story. Your main character resides in Minnesota; why do you choose to focus your novels on this part of America? Is that because that’s where you currently live? Would you consider writing a book set in another location? The primary reason I set my work in northern Minnesota is because it’s one of the most intriguing and beautiful areas I know. I love this part of the country. The land is amazing, all forest and fresh water and dramatic geology. The people are a wild mix of nationalities and ethnic backgrounds. The politics are independent and all over the place. Before I began the Cork O’Connor series, I’d tried writing about other settings, without much success. I’m certain that my love of the North Country is a significant element in what makes my writing come alive. A large part of the novel is the relationship between the Anishinaabeg and local people. How closely do the novel’s events compare to that of real life? The Anishinaabeg, or Ojibwe, have always been at odds, one way or another, with the white community in Minnesota. Over the years, they’ve suffered greatly at the hands of greedy land grabbers and shady politicians. They constantly battle to maintain the rights granted them in treaties. And they battle as well the stereotypes about native people that a lot of whites still believe in. As a result, there’s often mistrust between the two groups, white and Ojibwe. The tense and often tenuous relationship I try to portray isn’t fiction. The novel discusses bad spirits, sweat lodges, and other parts of Indian tradition. Do you indentify at all with those beliefs? I’d be a damned fool not to believe in the possibilities. On your website you talk about a number of blue-collar jobs you’ve had over the years, as well as run-ins with police as a college student. How do those events color your writing, especially when it comes to Cork O’Connor? In my wild and wildly antiauthoritarian youth, I believed, as did many who came of age in the turbulent 1960s, that cops were brutal, mindless enforcers of unjust laws. Thank God that the years since have mellowed me and given me a broader perspective. In my research for the books, I’ve talked to a lot of men and women in law enforcement. They have been, without exception, bright, dedicated, and skilled in their work. As a result, I try to bring to my stories a wiser sensibility about the people who enter this difficult, very necessary profession. As for Cork himself, he’s a down-to-earth kind of guy, and in many ways he reflects the respect I gained for working stiffs during all those years I was one myself. Now that you’re a full-time writer, were there things you preferred about having a regular job and writing on the side? Not a single one that I can think of. This is the best job ever! You blogged about rereading your own work and how you viewed it years later. How did that process affect you and your writing style? This is going to sound awful and egotistic, but here it goes. What I discovered on rereading was that I’m a pretty good storyteller. I didn’t have major issues with how the books were structured or the language I used in telling the tales. Mostly, I came away with a realization that I can rely on my instincts as a storyteller and my skills as a writer. I wish I could say that this has made the writing easier. The truth is that when I sit down to write a new book in the series, I still feel a little inadequate to the task. Where do you see Cork going from here? He seems so lonely now that his family is gone—do you see him breaking out of that? How? The book on which I’m currently at work, the next novel in the series, is titled Northwest Angle. It brings Cork’s family together again in a dangerous situation that threatens the safety of them all. There is a central event in this story that will change the direction of the series in a way that excites me no end. I think readers will be excited, too. That’s all I can tell you at this point. In addition to Northwest Angle, I’m working on a non-series novel that I hope to have ready within the next year. I’d rather not say anything more about this piece, except that in my opinion it’s some of the best writing I’ve ever done.